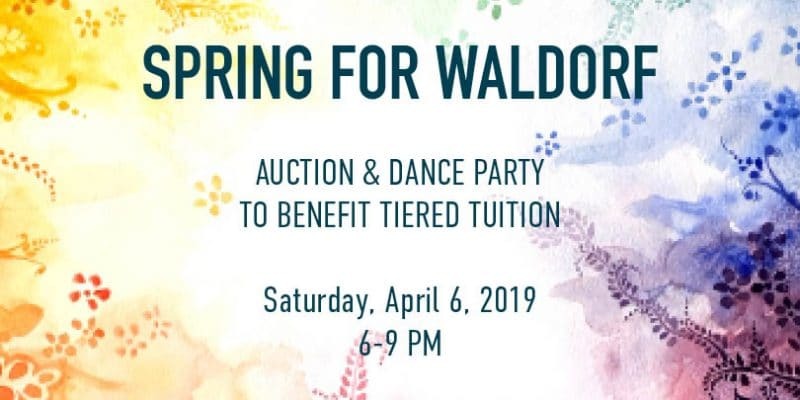 Our Spring for Waldorf Tiered Tuition Auction is this Saturday, April 6, 6-9 pm in our Community Hall, 57 Desert Road, Freeport. Every spring, we demonstrate our support and appreciation for a diverse school community by raising funds for our tiered tuition program. By celebrating “all things Waldorf” we are demonstrating that we value this education, its faculty, and the families who are part of this wonderful community. This year, in addition to the Silent and Live Auction where we feature heartfelt and handmade items and services, we will have the ever-popular Merri-Happenings, Gnomes, delicious food and drinks, music and dancing. Last year, for the first time, we made admission to the Auction free, because we feel strongly that everyone in our community, regardless of financial capacity, should be able to attend. And it worked! Through generosity and gratitude, everyone contributed in whatever ways they could and together, we raised even more money for tiered tuition than in previous years. While we hope that the whole community will come out on Saturday evening, we know that it is not always possible for everyone to attend. If you can’t come, you can Click here to bid online. Online bidding is available through 8 AM Friday, April 5th. We will then close the online bidding and download all the bids at that time to continue the bidding process when doors open on Saturday, April 6th at 5:30 PM. We always need volunteers at the Auction! It is a great way to contribute. If you can help by working a shift at the on Saturday evening, please make the event a success by signing up to for a shift: www.SignUpGenius. If you haven’t sent in your RSVP yet that’s fine, but please do let us know you’re coming as we want to be sure to have plenty of food and drinks – [email protected]. Our Spring for Waldorf Tiered Tuition Auction is always great fun. We look forward to seeing you there.